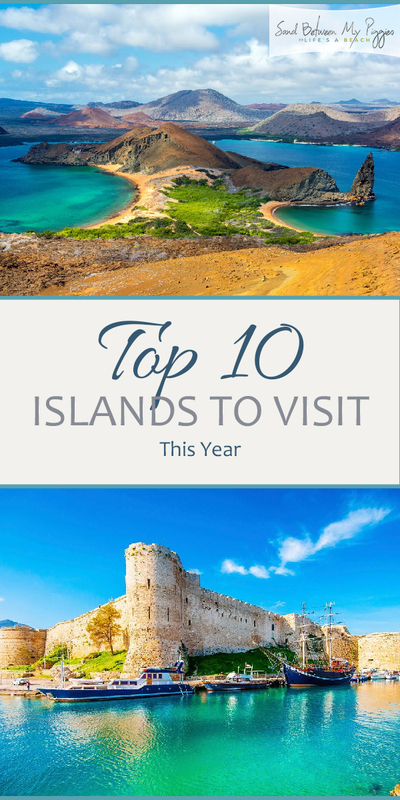 Here Is A List Of The Top 10 Islands To Visit This Year! Was your New Years resolution to spend more time traveling? Mine definitely was! My husband and I have a few major trips in the works and I can’t wait to start earning more of those coveted passport stamps. While we plan on traipsing around Europe for a few weeks, we are most excited to explore a few different islands across the world. 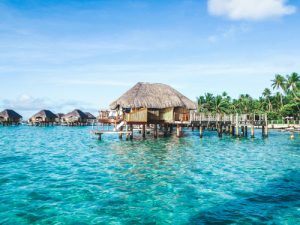 When picking what islands we were going to visit, we assembled a list of the best islands worldwide (catch this list below!) and then picked our favorite. 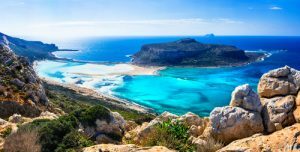 Take a look at the list below, which of these gorgeous islands would you like to visit this year? 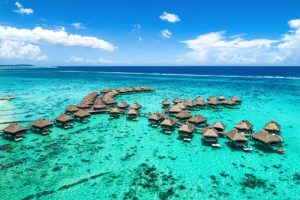 If you dream of walking out of your bungalow onto a semi-private beach, I highly recommend you head to Tahiti to do it, it has some of the most beautiful resorts! Santorini is the perfect place for beach bums, foodies, and winos. The country is home to miles of gorgeous beaches, tons of delicious Mediterranean restaurants, and tons of AMAZING wineries. This is a must when it comes to island vacations! If you love history, hiking, and tons of adventure, Cyprus sounds like the perfect island for you. It has miles of pristine hiking trails as well as tons of ancient archeological ruins. Athena was rumored to be birthed in one of the ancient cities on this island. While exploring Capri, make sure to take the ski lift up to the summit of Monte Solaro. The summit boasts some of the most beautiful views in the entire world. This is definitely one of those top ten islands. 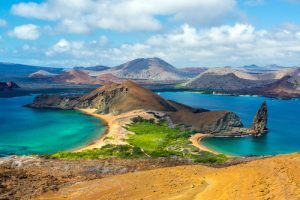 The Galapagos Islands might not be the perfect fit for vacationers looking to enjoy a relaxing vacation on the beach. While there are plenty of resorts, most visitors find themselves admiring the wildlife instead of relaxing. Home to one of the most active volcanoes, the Big Island is one of Hawaii’s most beautiful. Enjoy the lush tropical jungle and plenty of rain while staying on the Hilo side of the island, or bask in the never-ending sun on the Kona side. Don’t forget to explore Volcanoes National Park. It doesn’t matter if you spend your vacation lounging on the beaches or at a mountain temple in downward dog, Bali is a magical destination for all. Be sure to check out some of the ancient Buddhist temples while here! Such an amazing vacation idea! Crete has some of the best museums in all of Greece, as well as some of the most expansive ancient archeological sites. Not to mention, it’s an absolutely beautiful island. Historians should definitely add this to their bucket list.